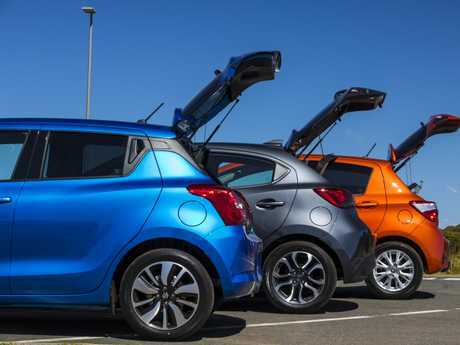 We put the Suzuki Swift, Mazda2 and Toyota Yaris to the test. City hatchbacks now have advanced technology once exclusive to luxury cars. Priced from $23,000 to $25,000 drive-away these particular examples aren't cheap - that's the starting price of cars the next size up. But more buyers are opting for the dearer versions of smaller cars now that they have the latest safety aids. 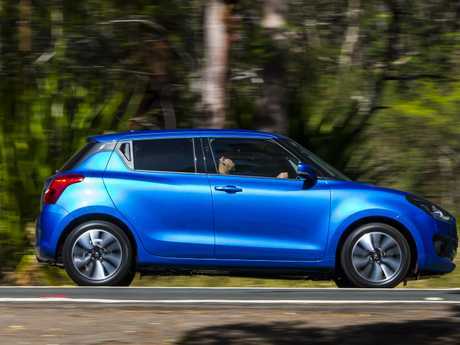 In the past few months the Toyota Yaris has received a facelift, the Mazda2 has had a makeover and a new Suzuki Swift has arrived. Each has chosen a different path when it comes to technology. Here's how they compare. 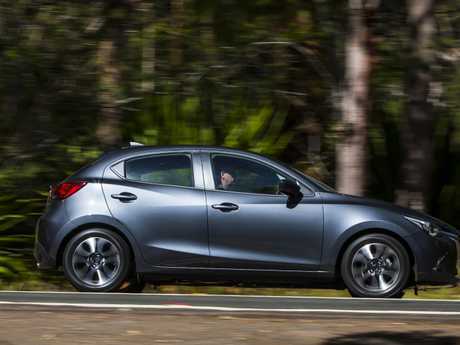 The Mazda2 Genki is the dearest among this trio at $24,890 drive-away. However, with the exception of one colour, "soul red”, Mazda doesn't charge for metallic paint, which adds $450 to $500 to the others. Standard equipment includes city-speed automatic emergency braking (AEB), which will slam on the brakes at up to 30km/h if it senses an imminent accident. Uniquely among this trio the Genki has AEB while reversing, rear cross-traffic alert, rear parking sensors, blind zone warning and a retractable "heads-up” screen on the top of the dash that shows the car's speed and the speed limit. 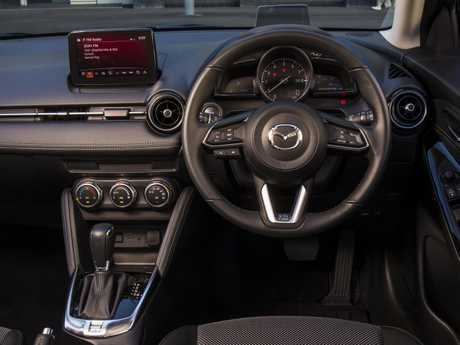 Faux carbon-fibre trim, soft-touch dash material and a tablet-style touchscreen help give the Mazda2 an upmarket appearance. A cluster of buttons and dials in the centre console - to operate the audio and navigation - are intuitive to use with your fingertips, without taking your eyes off the road. Built-in navigation is standard but Apple Car Play and Android Auto are not available. It has two USB ports and a 12V power socket; the others make do with one of each. The Genki comes with a sensor key and "push button” start but, oddly, you still need to press the key fob to lock and unlock the car. On the road the Mazda2 is a gem. The 1.5-litre four-cylinder petrol engine takes regular unleaded and it is one of the zippier city cars. In our 0 to 100km/h test it was about one second slower than the Swift GLX and about one second faster than the Yaris ZR. Matched to a conventional six-speed auto, it kicks down the moment you push the accelerator. There is good grip from the tyres and the suspension does an excellent job of dealing with bumps without feeling too floaty. 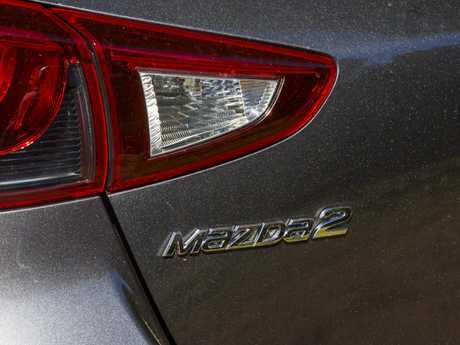 The other cars are good, but the Mazda2 has the edge. Servicing is more expensive than the Toyota but cheaper than the Suzuki. 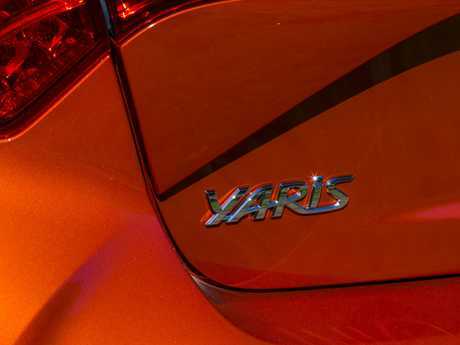 The Toyota Yaris isn't going to win a beauty pageant but its appeal goes beyond the new nose and tail. This update brings automatic emergency braking up to 40km/h, forward crash alert, and lane wander warning as a bundled $650 option on cheaper versions. It's standard fare on the flagship model tested. 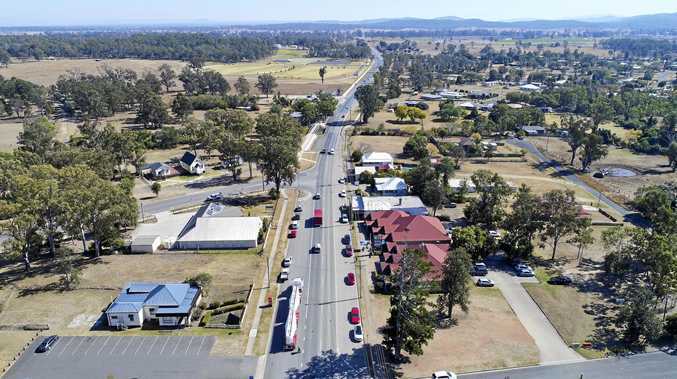 The Yaris ZR tested normally costs more than $26,000 drive-away, but it's been discounted to a more realistic $23,540 drive-away for two months and the offer is expected to continue. LED low and high beams - and auto dipping high beams - are new to the ZR. Our testing found the auto-dipping function works more accurately than earlier systems. It quickly detects oncoming cars and isn't triggered by reflective signs. 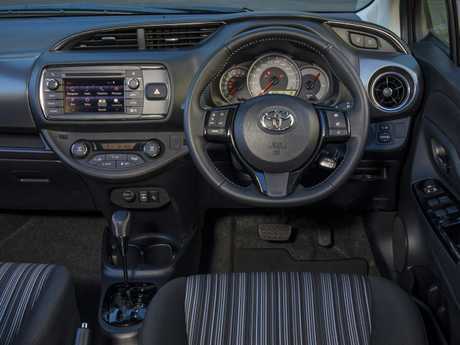 Inside the Toyota Yaris ZR. The LED headlights of all three cars are above average, but the Yaris' rival that of a luxury car. Built-in navigation is standard but Apple Car Play and Android Auto are not available - and the ZR has a key start ignition, versus push button for the others. Despite its rivals being newer, the Yaris still has the roomiest cabin and the biggest boot among this trio. The 1.5-litre four-cylinder takes regular unleaded and is matched to a four-speed auto. The auto changes smoothly but the lack of extra ratios means the engine revs a touch higher at freeway speeds, which hinders economy and makes the Yaris the thirstiest here. The ace up its sleeve: it has among the cheapest service costs in the business. 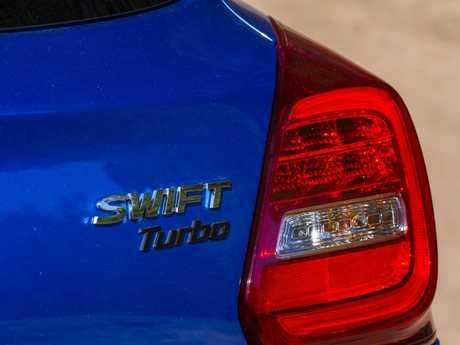 The new Swift is the first car priced below $20,000 with radar cruise control and automatic emergency braking with pedestrian detection. Unlike other cars with only "city” emergency braking, the Suzuki's radar and camera will prevent a crash and detect pedestrians up to 50km/h - and reduce the impact of accidents between 50 and 100km/h. The $22,990 drive-away Swift GLX also comes with forward crash warning and lane wander alert. The GLX is the only car among this trio with a sensor key that will open the doors without pressing the fob itself - supplementing its push button start - and has Apple Car Play and Android Auto as well as built-in navigation. Small annoyances include the lack of a volume knob on the touchscreen, no digital speed display, and only a one-touch "auto down” power window for the driver; the other two also have one-touch "auto up”. And the sun visors aren't long enough to block side glare when swung 90 degrees. The interior has a more elegant design than the Yaris but the materials aren't as plush as the Mazda2. The GLX has a turbo 1.0-litre three-cylinder paired to a conventional six-speed auto. 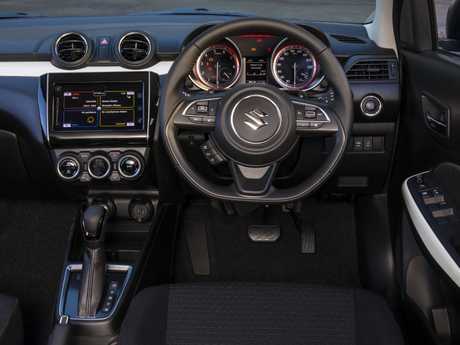 Inside the Suzuki Swift GLX. Hum and vibration is a trait of three-cylinders but the Swift is more refined than other examples of this type. It may be up against four-cylinder rivals but Suzuki proves you can do more with less; it's the quickest here and yet almost as fuel efficient as the Mazda. Just one catch: it insists on premium unleaded. It corners as sharply as the Mazda but doesn't soak up irregularities quite as well, with the suspension momentarily running out of travel on big bumps. Braking performance is superior thanks to four-wheel discs; the others have rear drums. Servicing costs are the most expensive of these three. 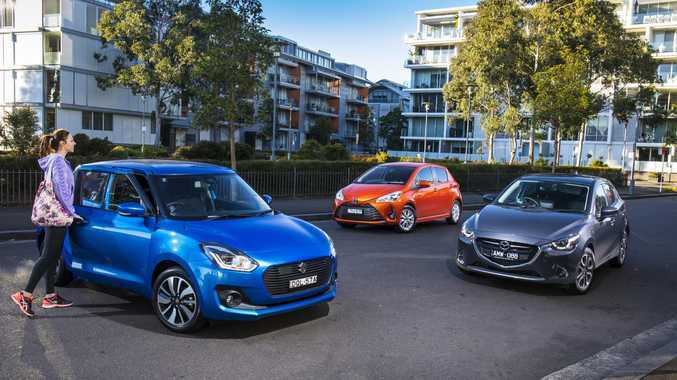 Comparison test between the Suzuki Swift GLX, Toyota Yaris ZR and Mazda2 Genki. You can't go wrong with any of these. 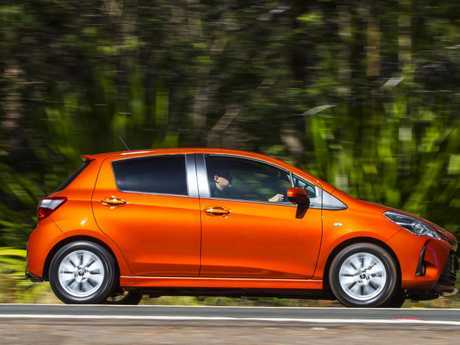 If low running costs and a roomy cabin are priorities, the Yaris ZR is a sound choice at its discounted price. The Swift GLX looks expensive in isolation, but is a bargain next to like-for-like rivals. Its four-star safety rating weighs against it, though. The Mazda2 Genki wins this contest because, although it's not cheap, it's the best to drive and has the longest list of safety tech, much of it a class first.